Virar (Marathi: विरार ) is a city in Maharashtra, India, part of the Mumbai Metropolitan Region. Virar is also a part of Vasai-Virar Municipal Corporation in Palghar district of Maharashtra state in Konkan division. Virar railway station is the northern-most railway station on the Western Line of Mumbai Suburban Railway. 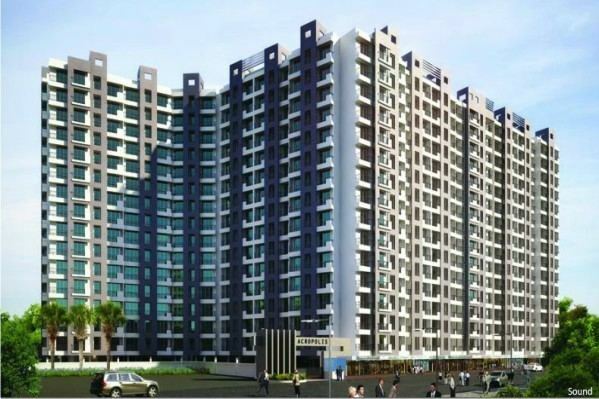 Real Estate has been booming in Virar because of its tourism and because of big construction players like Rustomjee, HDIL, which has already constructed the buildings . People from many places have migrated & have started making a living here, Virar is being eyed as a major development city. The climate of the city is tropical. The name Virar, as some believe, actually comes from the God Ekavira. Just as Tunga Parvat becomes "Tunga-ar", similarly "Vira" becomes "Vira-ar".There is a huge temple of Eka-vira Devi on the banks of Vaitarna River at the foot hills Tunga Parvat, (this is now totally broken by the continuous raids of Mohamedeans and Portuguese in the last 400 years), where people used to conclude their "Shurpaaraka Yatra", as described in the Puranas and local legends. There is a huge tank here dedicated to Eka veera Devi called "Viraar Tirtha", i.e. 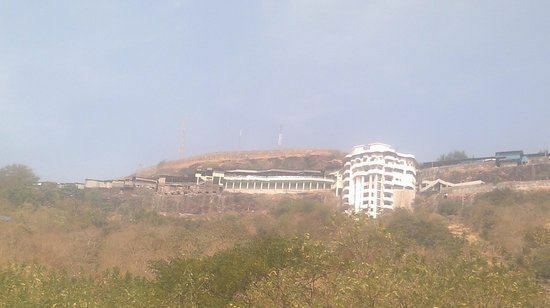 "Eka- Viraa Tirtha". Even today, on the west banks of Viraar Tirtha, one finds a carved stone about three feet long and nine inches broad. Below that is a group of female figures of the Yoginis of Ekaveera Devi. Nearby one can find a stone with a roughly cut cow and calf (Savatsa Dhenu), a symbol of Govardhana Math which symbolises eternity or Moksha. Moving ahead near the foot of a knoll of rock are two cow’s feet (Go-Paad) roughly cut in rock. As of 2011 India census, Virar had a population of 1,221,233.of which male and female are 649,535 and 571,698 respectively. Virar has an average literacy rate of 91.95%, higher than the national average of 59.5%: male literacy is 81%. 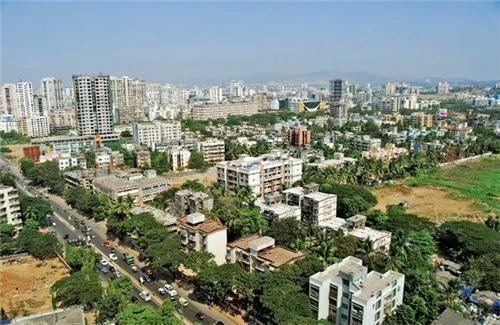 Over a period of time Virar has become a cosmopolitan suburb with approximately 70% population being Marathi speaking and the rest a mix of other communities, mainly the Catholics and the Gujaratis. 70% of the population is below 30 years. The slow and gradual adoption of the cosmopolitan nature of the city is the result of migration from the Mumbai mainland to this part due to ever increasing cost of the real estate property. The city's public school system is managed by the education ministry of the Government of Maharashtra. Hence the syllabus is under the state pattern devised by the Maharashtra State Board of Secondary and Higher Secondary Education. There are also other private schools who offer syllabus under Central Board of Secondary Education (CBSE) and Indian Certificate of Secondary Education (ICSE) guidelines besides the state pattern. The late Shri Vishnu Waman Thakur Charitable trust and the Agashi-Virar-Arnala Education Society are the two most prominent bodies which have opened many institutes offering education ranging from Kindergarten to PhD degrees in Virar. One can get graduate and post graduate degrees in Arts, Commerce, Commerce, Management studies and Technology through these institutes. It is famous throughout the country for its only temple of Goddess Jivdani which is located around 1375 steps above the ground level, atop a hill in the eastern part of the city. People from far away places come to take the blessings of the Goddess. It is too much crowded especially during the Navratri festival. Many people in the region especially the Aagri, Mangelas, the Kolis and the Bhandaris, worship the goddess as their family deity. The Papadkhandi dam situated at the foothills, was one of the major source of fresh water in the location, but is not enough because of the growing polulation of Virar. Vajreshwari is famous for its temple and hot water springs. It is mentioned in ancient "Puran" or holy books as a place blessed by the footsteps of Lord Rama and Lord Parashuram. In medieval ages Vajreshwari was known as Vadvali. It was called Vajreshwari after reincarnation of Vajrayogini in the Vajreshwari area. There are 52 steps to climb up to the main temple. It offers a commanding view of surrounding area from the temple. The view is beautiful during monsoon when all the surrounding fields are cultivated with rice fields and all the vegetation is emerald green. There are hot water springs in the Vajreshwari area as well as in Ganeshpuri and in Akoli. The hot water springs are a must bath for Vajreshwari devi devotees. The springs have high sulphur content and is believed to cure many skin ailments. Baronda devi Temple is located near Papadkhindi Dam, atop hill in the eastern part of the city. Uttamrao Patil Udhyan is botanical garden in the papadkhindi area of Virar. Spread over an area of 4 acers near the famous Shiv mandir of Papadkhindi it is built with the help of Maharashtra Van Vibhag(Maharashtra Forest Department). It has a collection of various trees and types of flowers with information displayed on the boards. Also a nursery is setup in the udhyan for growing rare plants. Major attractions in the garden include the Panchavati baug, the Navgraha baug and the Aromatic Baug within the garden to name a few. The Holy Spirit Church is located in Nandhakhal, a village and parish in Virar west.The church is believed to be 450 years old and was built by Portuguese after their arrival to Vasai region. But the old structure has undergone several repairs and constructions over the years. This church was erected in the early part of the 20th century and was one of the first under the Archdiocese of Bombay. Fr. Ismail Da Costa, built a hut chapel in 1919 near Arnala beach. Later with help from local people of all faiths he constructed the Church of St. Peter. Archbishop Joaquim Lima (Archbishop of Bombay) blessed the church on 27 Dec 1931. Other historical churches in neighbourhood are St. James Church (Agashi) and Church of Holy Spirit (Nandakhal). The St. James church located at Agashi on the road connecting Virar and Arnala, was first built in 1558. Portuguese were the best known seafarers among the European clans who built homes near the sea wherever they went. 'Agasi', the then small port village was one such place. Owing to its nearness to the sea and availability of wood from the jungles, which the Portuguese needed for boat building and constructions, Agashi soon became a permanent settlement for the Portuguese. The St. James Church that came into being during this early period was built using stones and bricks hence it withheld during the Muslim attacks of 1594. But during the raids of Marathas of 1739 it was mostly destroyed. The Marathas however permitted the priests to carry on religious ceremonies in the region and the church was rebuilt by 1760. In the year 1900 the church was renovated. The famous Arnala beach and Rajodi beach is situated just a few km west of the railway station. some others are, Navapur beach and Vatar beach, just a few minutes away from Rajodi beach. most of these beaches are secluded and serene. These are a favourite spot for the teenagers and elderly alike. There are regular State transport buses and autos that carry the tourists to the beaches from the railway station. There are many resorts such as the Arnala Beach Resort, Anand Resort, Patil Resort, Yesh Resort, the Green Paradise resort, Swagat resort, etc. that have come up recently owing to the increase in number of people coming from the main city land. The major occupation of farmers near Arnala beach is floriculture and they cultivate wide variety of flowers. They also cultivate rice and various varied variety of vegetables. Yazoo Park, spread over 12-acres was started in 2011. It is located at Global City, near Narangi Phata level crossing about 10 minutes from Virar Railway Station. It boasts of entertainment such as Toy Trains, Giant Wheel, Merry-Go-Round, Free Fall, Game Zone, Bump'em Cars, Floating Restaurant, etc. The Great Escape water park located near the Western Express Highway, off the Vajreshwari-Parol-Bhivandi road is a picnic place with water park rides, picturesque environment and a variety of food facilities and cuisine like Gujarati, Chinese and Continental Food. Virar is the closest and the best place near Mumbai for paragliding training. Being a coastal area the winds at Virar are laminar, predictable and ideal for aviation sports. Early morning and evening winds are suitable for beginners and mid and early afternoon conditions are perfect for advance flyers. Black Beauty hill, Twin Rock hill, Jivdani hill, Tungareshwar, Kaner hills are a few locations for hill flying. Virar is the only place near Mumbai with so many choices all in a radius of about 6 km. Virar has hundreds of acres of open land where winch based training is conducted by Space Apple. Website is www.paraglidingmumbai.com. Vasai-Virar Kala Krida Mahotsav is an annual sports event for the sportsperson of Virar and the neighbouring localities. The event has been a great success for the last 17 years, with participation coming from regional schools, colleges and grampanchayats. Other games like Karate and Kho-Kho have created state level players. Every year this event is conducted at the year end precisely from 26 Dec to the new years night at the Chimajiappa Playground and the New English School, Vasai. Arnala Fort is located on a small island off the Arnala port. Since the fort is built on an island and surrounded on all sides by water it is also known as "Jaldurg" or "Janjire Arnala". The Portuguese called the island "Ilha das vacas" which means 'Island of the cows' in Portuguese. Before the Portuguese control of the island, the island was controlled by the Muslim rulers of Gujarat. The island is near the mouth of Vaitarna river and the Portuguese used it to observe and control shipping and navigation along the western coast. The Portuguese captain of Bassein donated the island to a Portuguese nobleman. The nobleman tore down the old fort and began construction of 700-foot by 700-foot fort. The fort was never completed by the nobleman but remained under Portuguese control. Vasai fort (Bassein fort) is also located nearby. The Portuguese established a fort in Bassein, present day Vasai, on the mainland just north of the Bombay archipelago. The fort was fronted by a harbour. With this as the main base, they built other smaller forts, and strong houses in many of the islands. In the 18th century the fort was attacked by the Marathas under Baji Rao Peshwa, and fell in 1739 after a three-year-long campaign. The remains of the fort can be reached by bus or taxi from the Vasai railway station. The ramparts overlook Vasai creek and are almost complete, though overgrown. Several watch-towers still stand, with safe staircases leading up. Govinda, a leading Bollywood superstar of current period, voted as the tenth greatest star of stage or screen of the last thousand years by BBC News Online users and also an ex Member of Parliament used to stay in Virar in his school days. He passed out from Annasaheb Vartak Smarak Vidyamandir in Virar East. Lake in virar by vvmc is other place to relax. Music is played in evening and fountain is on with light effects. Virar East Totale Lake is very famous. Every year the Vasai Virar Mayors Marathon is held which sees stars from across the country criss crossing the entire Vasai-virar suburb on the race day and is also a source of great attraction as well as enthusiasm for the people of virar. The 2014 version of the marathon was held on December 21 and saw Cricket Legend Sachin Tendulkar as well as Anju Bobby George as the Chief Guest. 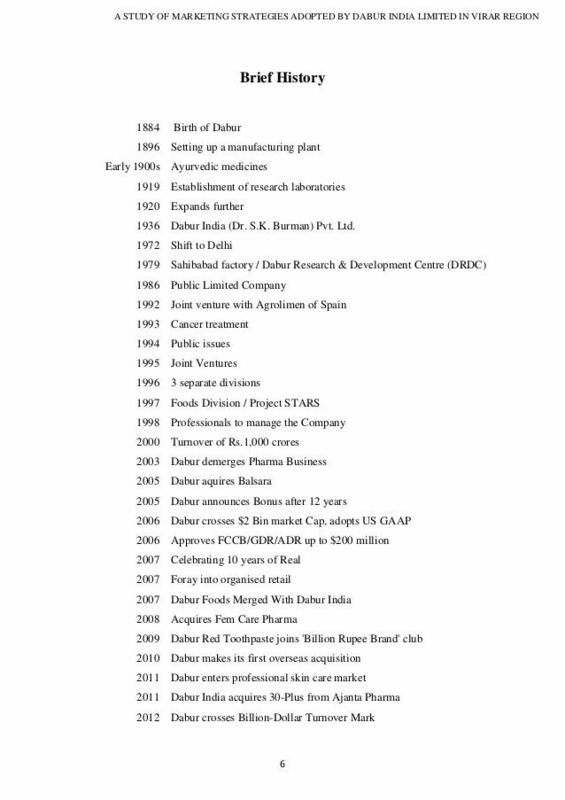 The growth of Virar is yet to be seen in full as the quadrupling of the railway line between Borivali and Virar has just taken place in 2007. The railways are still pleading the lack of sufficient number of rakes to take full advantage of the quadrupling. But the city has seen a lot of development in the past 5 years. The Municipal Council was upgraded to Vasai-Virar Municipal Corporation in May 2009. There are various housing and road transport development projects initiated by the corporation with the help of MMRDA, Mumbai. The skywalk in the west section of the city was one of the first amongst the many skywalks that were built near all the railway stations of Mumbai. It was the seventh skywalk in the city and it cost INR 91.5 million. Virar-West skywalk is 589 meters long with four meters wide walkway. The skywalk was found to be the busiest amongst the others built by the MMRDA by recording a footfall of 58,038 commuters during peak hours. It was followed by Santa Cruz skywalk with a figure of 37,546. Virar-Alibaug Corridor Project is an ambitious project undertaken by the MMRDA which is looked upon as a major developmental milestone in the history of Virar. The Rs 10,000-crore project is expected to provide seamless connectivity by the metro as well as by road from Alibaug to Virar. The corridor will bypass the western and eastern suburbs and also the routes which will witness growth in the future. The proposed alignment will connect four crucial national highways, NH8 (Mumbai-Ahmedabad), NH3 (Mumbai-Agra-Delhi), NH4 (Mumbai-Chennai) and NH17 (Goa-Mangalore-Kerala). The MMRDA has claimed that the 140-km corridor will reduce the long commute to barely an hour. Phase-I of the corridor will be of 90 km from Virar to Panvel. Phase-II will be of 50 km from Panvel to Alibaug. Virar falls under the jurisdiction of the newly created Vasai-Virar Municipal Corporation (VVMC). It primarily comes in the Nalla Sopara constituency for the Maharashtra Legislative Assembly elections and in the Palghar constituency for the Lok Sabha elections. For all the three seats, the ruling party, Bahujan Vikas Aaghadi (BVA) has showed its dominance. The BVA has won 55 seats out of the 89 in the VVMC. Thus Virar elected its first Mayor in the form of Shri. Rajeev Patil who was also the ex-President of the preceding Virar Municipal Council. For the Legislative Assembly seat, Kshitij Thakur, a BVA candidate and the son of ex-MLA of the region, Hitendra Thakur, won the seat in 2009, defeating Shirish Chavan of the Shiv Sena by more than 40,000 votes. He is just 26 years of age. Earlier in the 15th Lok Sabha elections, people voted for Baliram Sukur Jadhav, also a BVA candidate, from the Palghar constituency, who went on to become the Member of Parliament representing the region, defeated Bharatiya Janata Party rival, advocate Chintaman Vanga, by 12,358 votes.